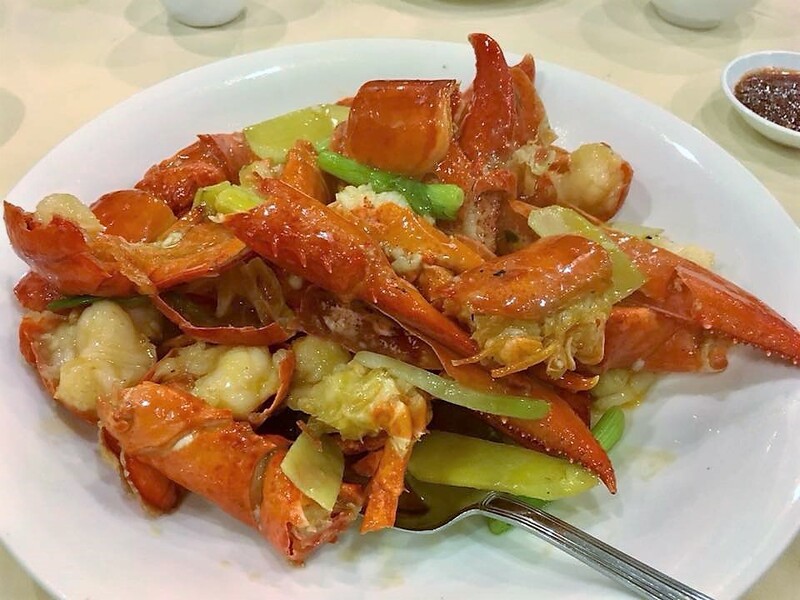 i ordered 2 boston lobsters steamed in superior stock 上汤焗. today though as WM said the flavours were a bit 淡, not as tasty sauce as we had some times. 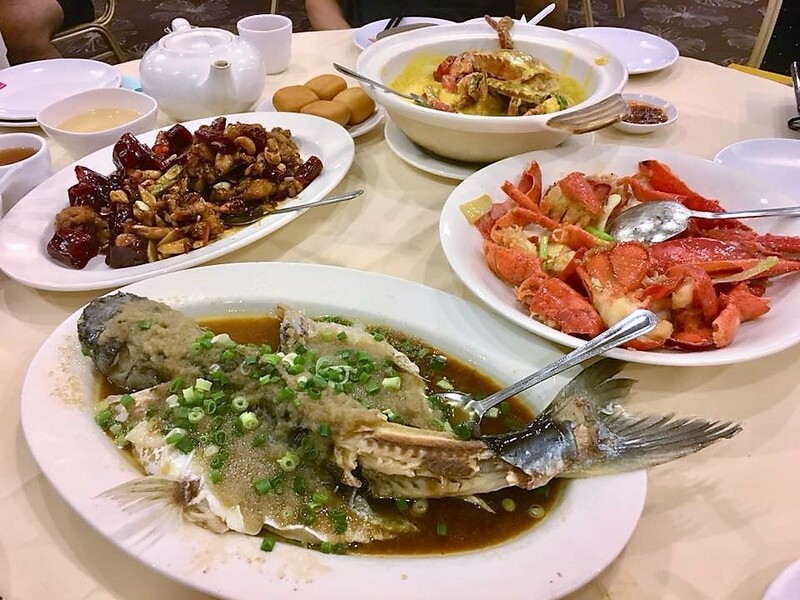 i ordered 2 crabs (<500g size) – i think S$39.90 for 2.
i had pepper crab recently so for today i ordered pumpkin sauce, and 4 fried buns 馒头. WT & WM felt 1 crab had a strange slight bitter taste. 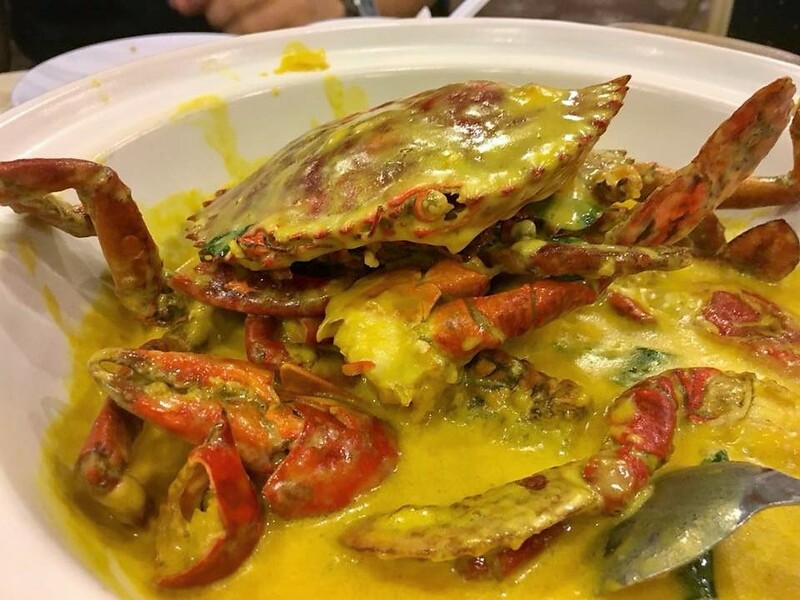 i didn’t feel it myself, but i felt the 2 crabs were not sweet like sri lankan crabs. 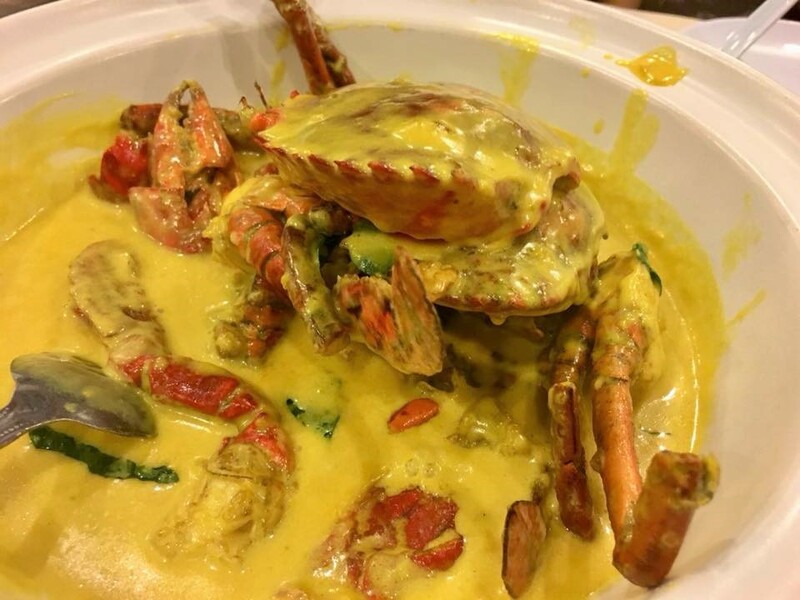 quite odd that fresh live crabs not sweet, not sure they were indonesian mud crabs or vietnamese crabs. i though all crabs are sweet! the sauce was good, and quite good with the fried buns 馒头. the crabs were ok, just that somehow not the very sweet crab meat one expects. 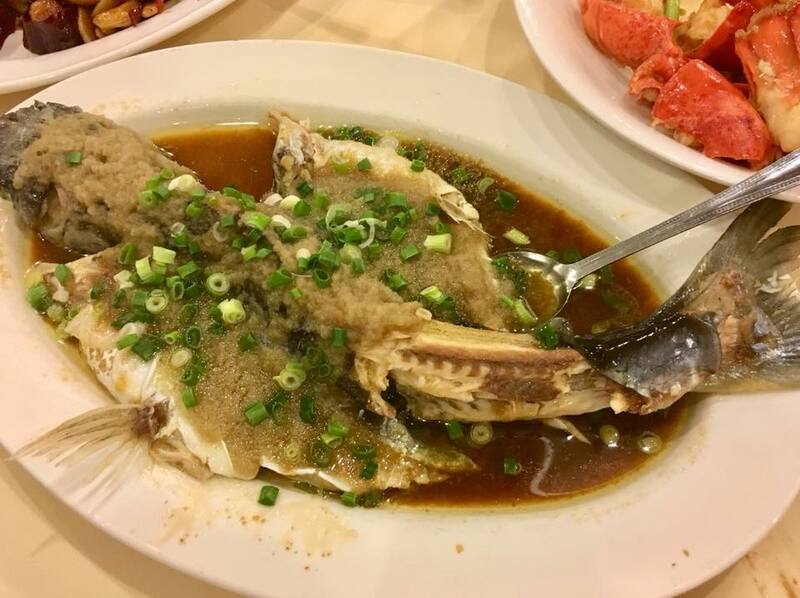 the steamed patin fish with minced ginger 姜蓉was excellent! patin my favourite fish & i like this preparation. 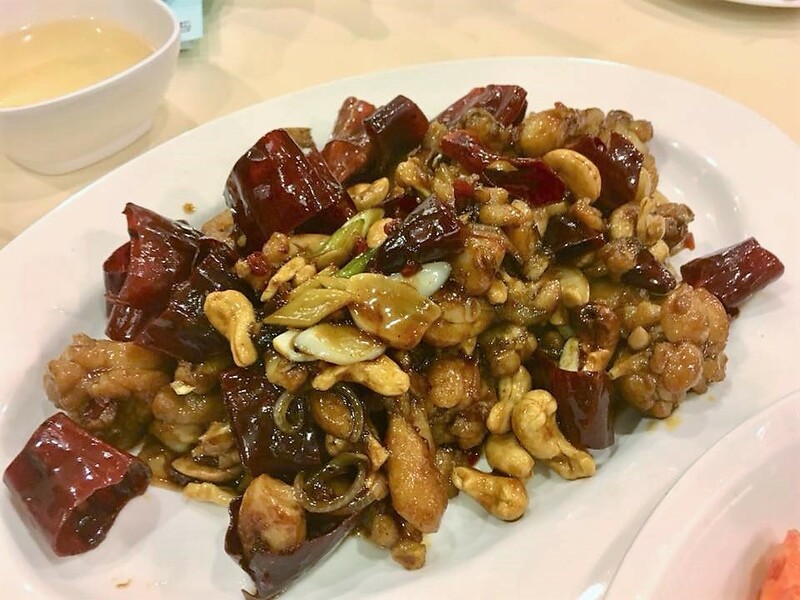 WM maybe preferred the hong kong steamed style, just very “pang” flavour of light soy sauce. i like HK steam style too. we had 4 frogs done gong bao style. we asked for less sweet. froglegs were done well. sauce this evening just ok, somehow not as good as previous times i had. dinner for 4pax was S$193nett. nothing to complain about for the dishes we had. the dishes also tasted not too bad, just that my expectations a bit more than what they delivered this evening. another problem was the long delay for the dishes to be served, about 40-45mins for the first dish in a quite low patrons evening, we think because the 2 servers who took our orders separately did not co-ordinate well & forgot to activate the kitchen to start cooking our orders.